The Eastern Shore of Virginia Farmer's Markets: Find a local farmer's market near you in The Eastern Shore of Virginia for fruit, vegetables, pumpkins, organic foods,local produce and more! 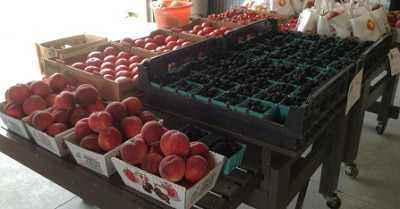 Looking for a local, true farmer's market in The Eastern Shore of Virginia? 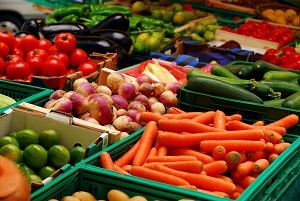 Scroll down this page and you will see the farm markets, farm stands, roadside stands, produce markets, even garden fruit and vegetable stands and seasonal community farmer's markets in The Eastern Shore of Virginia, sorted by county. Markets offering organic or sustainably grown produce are identified by the words "organic" and/or "sustainable" in Green, next to their name. If they have a website, the name will be in blue and underlined; click on it and it will open their website. Pickett's Harbor Farms - Wide variety of seasonal, locally grown fruits and vegetables,like peaches, asparagus, Strawberries, blackberries, tomatoes, potatoes, sweet potatoes, peppers, etc. A visitor writes on May 29, 2016: "Both Mason's Farm and the Picketts Harbor farm are wonderful. I have been to both since returning to the shore 2003. The only thing I wish they offered were some time available for Sunday hours, even if it's only a window of 4 hours. The weekday and Saturday hours just don\'t work for everyone. However the service and vegetables/fruit coming from both of these places will lead you to never want to buy either in a supermarket ever. Thank you !!!" A visitor writes on August 30, 2013: "Love this farm! Choice of pick-your-own or already picked; check out their facebook page for up-to-date offerings."